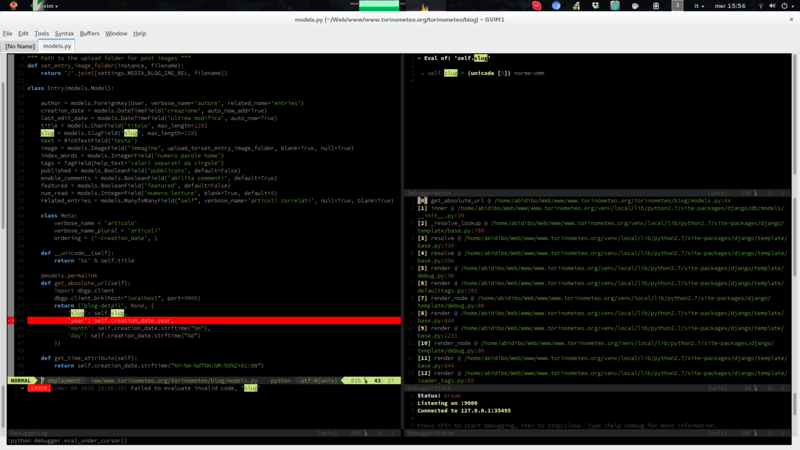 I'm currently re-configuring all my vim stuff, operation which I perform every x months/years. I used to debug django application using pdb and its set_trace method, this time I decided to integrate a debugging tool inside vim as I always did for PHP using xdebug. Today I'll introduce you AWR, my first python/GTK software which actually acts as an interface to mplayer in order to manage web radio streams. © 2013 Stefano Contini - MIT License (http://opensource.org/licenses/MIT).